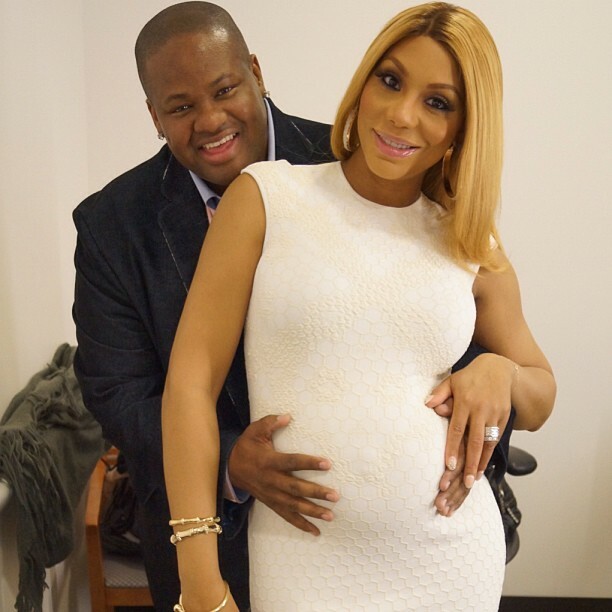 Tamar Braxton announced her big pregnancy on Good Morning America on Wednesday with her now visible baby bump, so cute!. The "Love and War" singer and reality star also revealed a new "We Did That" T-shirt via her online store. Braxton's line includes a variety of other T-shirts, which feature catch phrases made popular by the outspoken fashionista. See Tamar and all of the Braxton sisters in the season 3 premiere of their hit reality show Braxton Family Values Thursdays at 9/8c on WEtv.